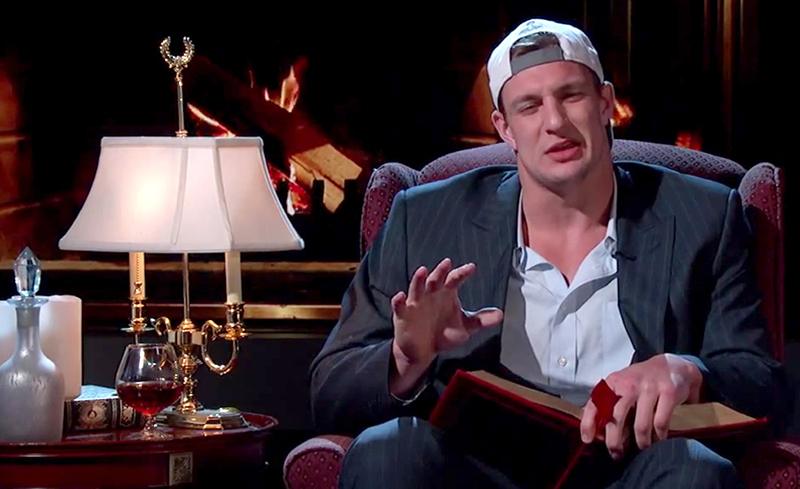 RANT: What the hell is Rob Gronkowski Wearing?! What the hell is Rob Gronkowski wearing?! I understand that Rob (a Buffalo native) is a mountain of man… dude is huge. All the Gronkowski’s are. 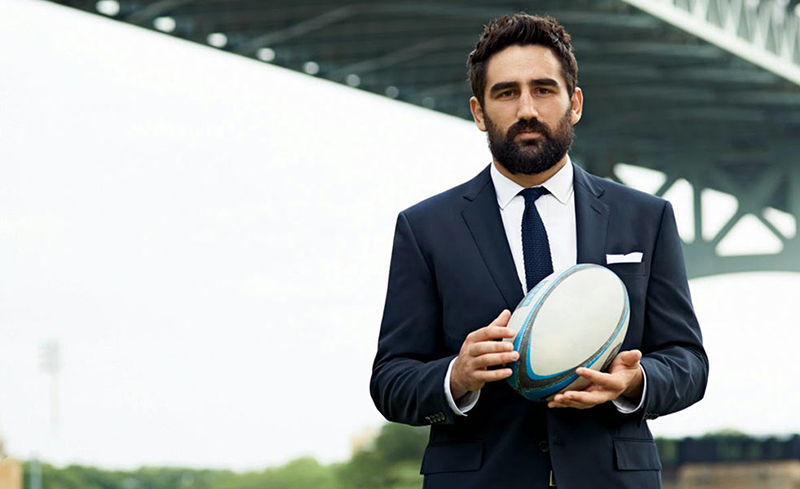 But being a successful professional athlete you would think a stylist would come along and say: “Hey, you’re going to be on TV. Wear this instead.” Because this… this is just ridiculous. The suit looks enormous on him, but when paired with that floppy popover shirt, sneakers and backwards cap, I’m honestly getting a migraine thinking about how terrible this bro-tastic outfit is. 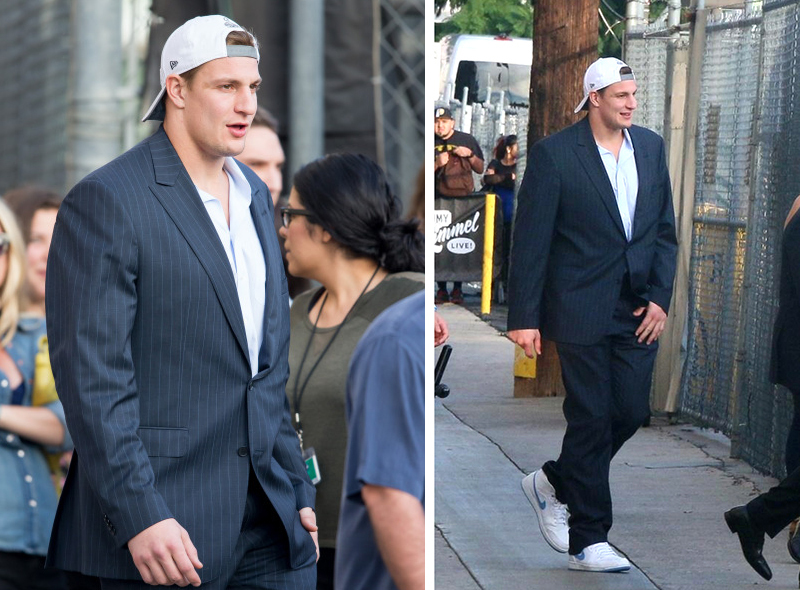 Someone needs introduce Gronk to a tailor. Like our friends at Napoli’s (the official menswear provider for the Buffalo Bills), or check out J.Crew’s Crosby Suit which is specifically designed for a man of his stature. There is literally no excuse for this outfit to happen*. 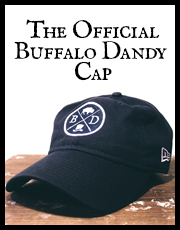 C’mon sir, try to represent Buffalo (or your team) a little better than that. Next time you think about wearing something like this on Kimmel or anywhere else and someone makes a face like the one below, maybe reconsider. OH MY GOODNESS!! Thank you for posting this! I had the exact same reaction when I saw him on Kimmel. We are laid back here in California, but c’mon. He is quite the handsome guy, but put some effort in to it buddy. He was almost distracting to watch. The t-shirt. . … the hat. . . .indoors. . .. . backwards. . . . .